The Fórsa trade union has threatened Aer Lingus with potential industrial action after the airline announced it was unilaterally withdrawing from a new dispute resolution process - which the union views as a breach of a collective agreement. The Internal Dispute Resolution Board was set up in 2016 at the request of Aer Lingus management in a bid to reduce conflict and avoid industrial action. However, last month the company notified the union that it was withdrawing from the IDRB. In his withdrawal letter to unions, Aer Lingus Director of Employee Relations and Change Sean Murphy said the IDRB had become a "tool to frustrate and slow down normal business change", which he claimed "...the majority bypassed and the few abused." He said Aer Lingus had entered the process in good faith, but added that it was being bypassed in favour of the Workplace Relations Commission, and had not met for a year. Mr Murphy's letter states that the airline cannot afford to move at the pace of the slowest contributor to such processes. Today the union's services and enterprises divisional conference in Galway is debating a motion calling on the union to take "what steps it deems appropriate to ensure that Aer Lingus honour the terms of this agreement." 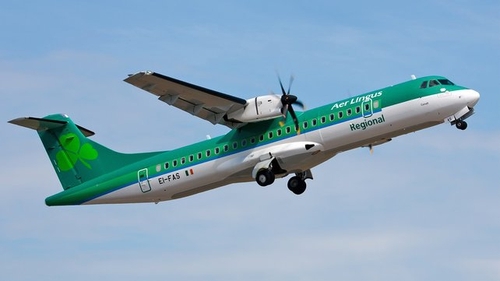 IDRBs are now common in the commercial semi-state sector among bodies including the Irish Aviation Authority, the Dublin Airport Authority and Coillte, where they are viewed as enhancing management union engagement, heading off disputes before they escalate, and reducing dependence on the Workplace Relations Commission and the Labour Court. Fórsa Divisional Chair and Aer Lingus worker Gillian White told the conference that the company IDRB had worked for both management and staff and accused the airline of walking away because they were not getting their way on every single issue. She warned that if "this unnecessary and ill-advised act" is not reversed, it will be more difficult to deal constructively with the conflicts that inevitably arise in the highly competitive aviation sector. Fórsa National Secretary Angela Kirk said Fórsa would continue to refer appropriate cases to the IDRB, but reserved the right to take whatever action they deemed appropriate to ensure compliance with their collective agreement. Today's conference is the first divisional conference of the newly formed 80,000 strong Fórsa trade union which resulted from the merger of IMPACT, the Civil Public and Services Union and the Public Service Executive Union. Fórsa's Services and Enterprises Division conference represents about 6,000 workers in non-commercial semi-state companies including An Post, Dublin Airport Authority and the IAA, as well as private companies in aviation and telecoms. The Irish Aviation Authority needs to hire 20% more air traffic controllers to address staff shortages, and maintain safe services amid a rising demand for air travel, Fórsa has said. Delegates at the union's divisional conference in Galway heard that the IAA currently employs 290 air traffic controllers, but the complement should be 350. While 70% of current controllers have signed up to a voluntary additional overtime scheme agreed with the union, new recruits are now obliged to sign up contractually to the overtime scheme to compensate for staff shortages. Fórsa official Johnny Fox said there were safety concerns around making overtime compulsory, and significant extra recruitment was the only effective remedy for staff shortages. He said the union had no objection to safe levels of voluntary overtime, but forcing overtime on new entrants was not acceptable. The conference passed a motion instructing the union to ensure that frontline safety-critical personnel should not be subject to mandatory overtime clauses in contracts of employment.